These cards together seem to be telling me it's time to make some choices. 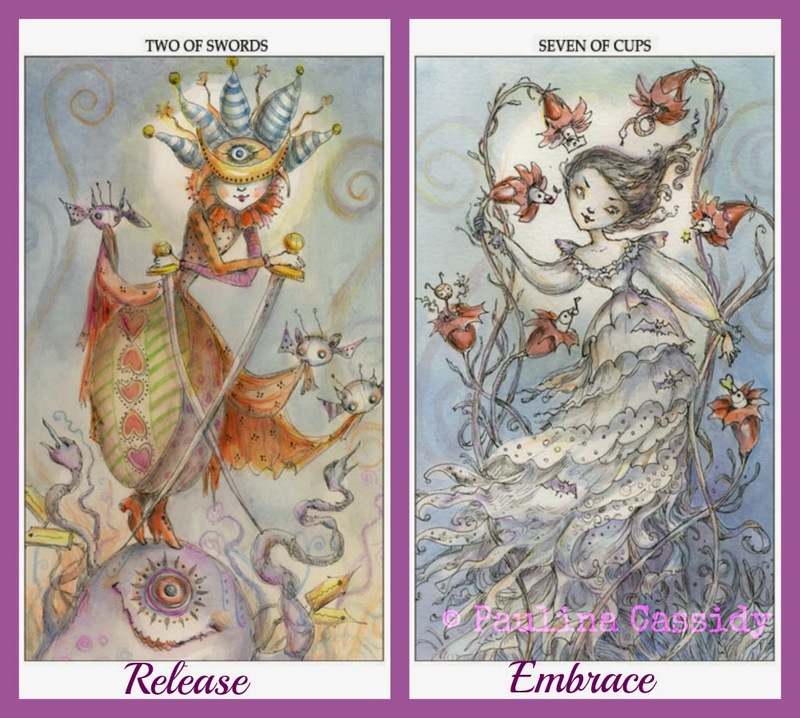 Release indecision or the avoidance of deciding and embrace making a choice. Settle on something and focus there. The problem is I have no idea what choices I should be making or to which areas of my life these cards might be referring. Perhaps things will seem clearer in the coming days. In any case, I'm tired and have a headache, so I'll think more about it tomorrow. Oh, that's a very good way to see it. I was looking too narrowly and not seeing the broader picture. I do need to be more intentional with those small daily choices. I spend many days in avoidance mode and at the end of the day, sigh and think, "Another day wasted." I definitely see this the same way as you do! And I can relate. I've had a terrible, terrible time making choices the past few years, especially. It started not long after my daughter was born and just seemed to get worse from there. I think not choosing becomes a habit, but then not choosing is a choice. Hehee. Oy! Anyway. I wish you luck. I know you can do this! I think having a journal or list to help you work out the most important choices to make (I say pick only one or two choices at most to make). Once you get out of the rut, even with a small action, things tend to have a domino effect. You're absolutely right, MM. I do have a habit of not choosing, and I never really thought about it like that. Putting more intention into my days, with just the small things, is a perfect way to mover forward this month. Thank you, MM and Ellen for your thoughts. Very helpful!